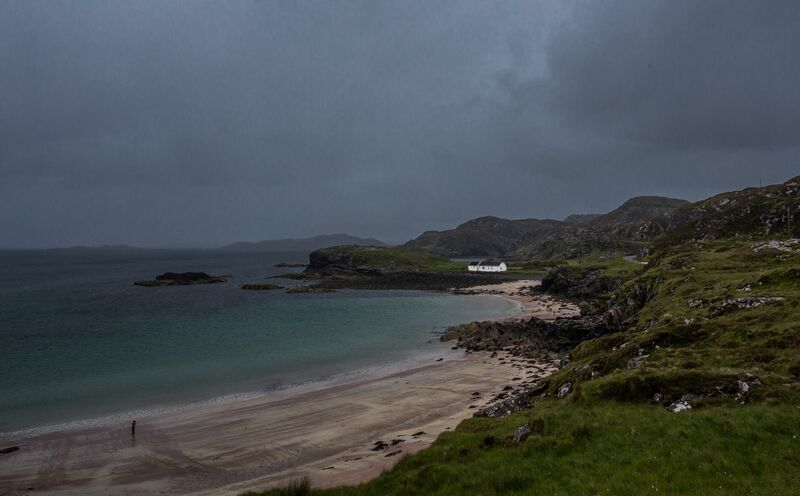 Northern Scotland is all about the mountains, islands and the weather. This is where the postcard landscapes and dramatic history of Scotland can be found. The best way to explore is, as always, by bike. If you ride from south to north and you should be lucky enough to have a tail wind blasting you along making it quite pleasant whatever the conditions. The map below shows my planned route on a recent tour of the rugged and wild west coast of Scotland. This route combines the most dramatic mountain scenery from the Islands to the mainland Munro’s, but also presents idyllic secret beaches. 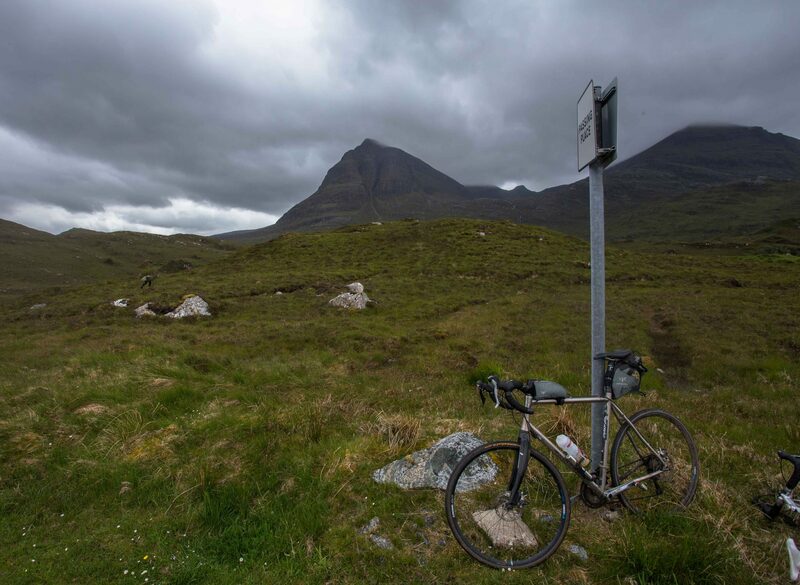 Detours around Skye and even onto the outer Hebrides can be added but the route marked is about 400 miles and would work well as a leisurely week. If the sun shines you’ll be lucky and get blown away by the views and even in the rain you’ll certainly get blown away too but it has drama worthy of the effort involved in cycling against the elements. 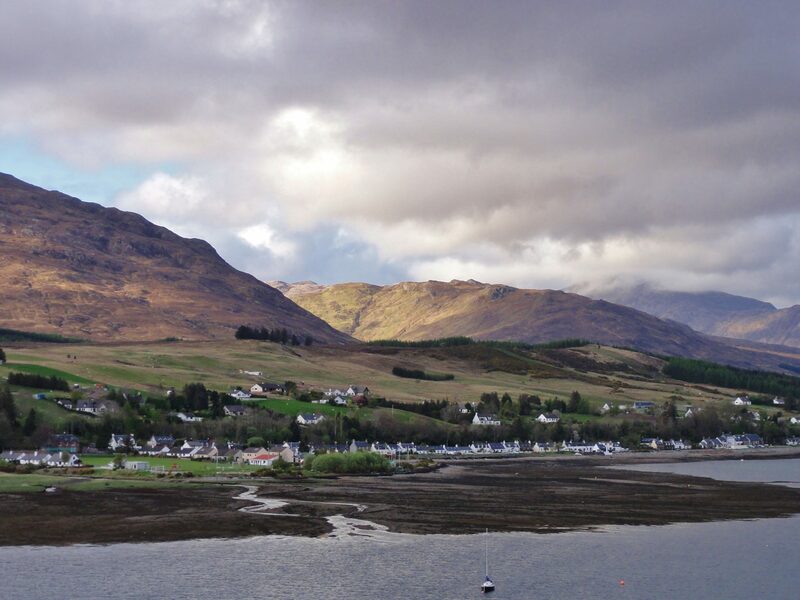 Starting in Oban means you can get the train then the boat to Mull and the port at Craignure. A quick loop of Mull around the central mountains and maybe a detour to the distillery before a ferry from Tobermorey to Kilchoam, check the timetables at CalMac (the ferry company) for this one. Then follow the coastal road to Mallaig and another ferry over to the Isle of Skye and Armadale. Here a detour around Skye would be fantastic if the weather is compliant! 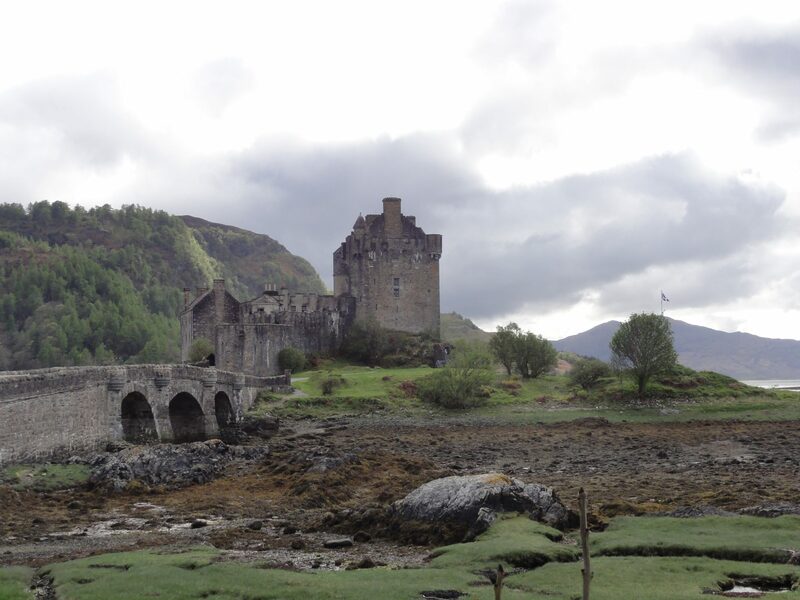 If not head over the bridge to Kyle of Lochalsh then detour to Dornie to see the famously picturesque castle on the loch. 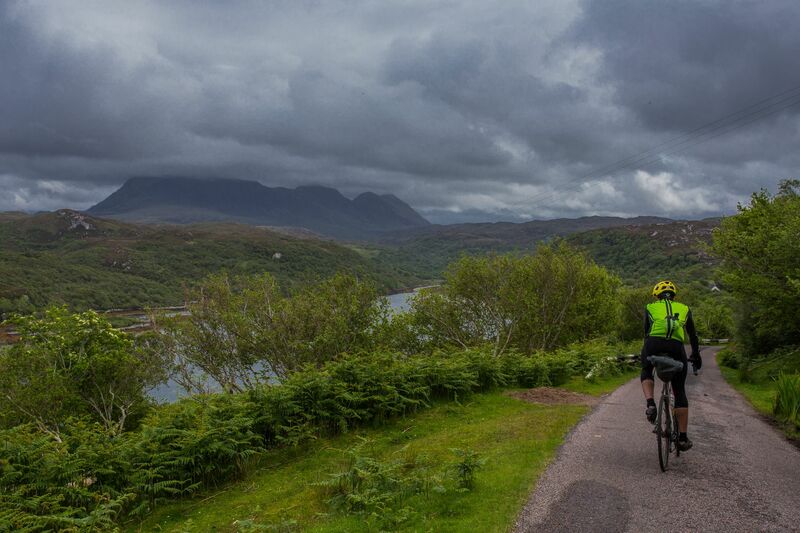 Head north to Strathcarron before taking on the huge beautiful climb over to Applecross. This climb is very big and seen as one of the best in the entire UK. 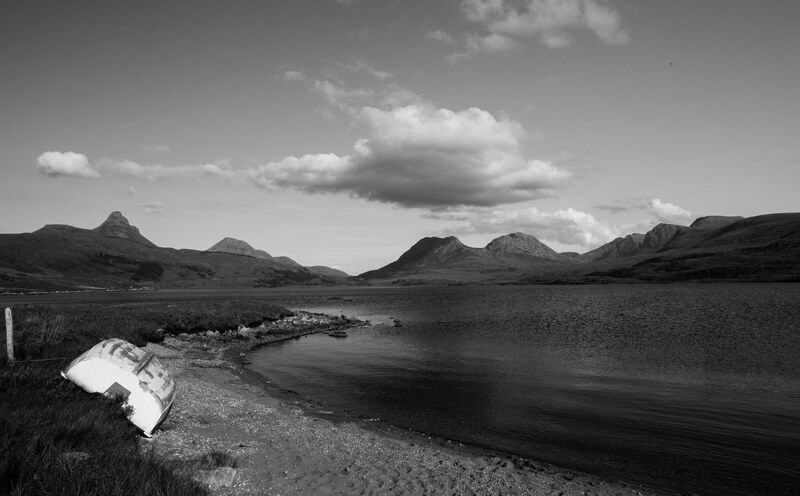 From Applecross hug the coast to the famous mountains of Torridon. These soaring peaks might be worth stopping for a day to climb and explore. Then onto Gailoch and its sandy beaches before more at Poolewe and with great mountain views by Loch Maree, if you look closely after Poolewe and there’s a dock used by nuclear submarines in Loch Ewe. If it’s raining here remember that the road is still going to get better as you head north. From Dundonnell you could try to ride due north and negotiate a boat over to Ullapool but it’s certainly easy to ride around. 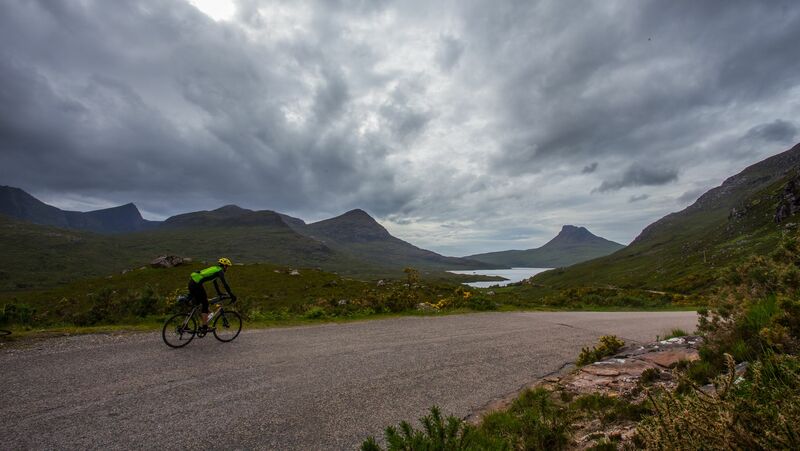 From Ullapool take the first left at Drumrunie to ride one of the most scenic roads in the country. Views of the famous peaks like Stac Pollaidh and Sulven in the distance. Follow onto Inverewe on quiet beautiful singletrack roads. This road has lots of ups and down so be prepared for a tough but rewarding day. Then it is all about getting across to Inverness to catch a train, my route shows the road to Bonar Bridge but you could ride back down to Oban if feeling fit! This bit involves some main roads but generally the traffic north of Inverness is never too bad. If you feel brave than camping can be rewarding with midges normally blown away but you’ll need a sturdy tent that likes winds. If not then go light and out of peak season and make use of the frequent B&B’s that are an ever present here. B&B touring might be seen as a soft expensive option but there’s no denying it is more comfortable! I was wearing my ever comfortable Morvelo Unity shorts and Hemisphere Gillet and using my Kinesis Tripster ATR with an Apidura saddle pack and fuel tank bag. Could you tell me what time of year you completed this trip and roughly how much accommodation was along the way (per night)? Also are there many off road / gravel sections along this route? I plan on doing the route on a road bike with 25mm tyres so would prefer to stick to tarmac / hard surfaces as much as possible. I think this was June we rode the trip. Best months are May/early June then September I’d say. The route is entirely on road so you’d be fine on 25mm. Just watch out on the Scribble map in the blog as the line is drawn not routed so not an exact match! There are gravel detours possible though. With accommodation it gets much cheaper for 2 rather than 1 person. There are a few hostels along the way that will be around £20 for dorm bed but budget £50 for a room in a B&B https://www.hostellingscotland.org.uk/hostels/?location= also lot of private hostels popping up.